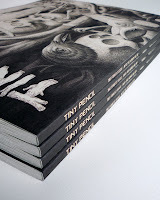 Spine and cover detail from Issue 1. Cover art by Nick Sheehy. Launched in early 2013, Tiny Pencil is an independent anthology artzine and forum featuring all graphite art, illustration, and comics from established and emerging artists all over the world. Previous and upcoming featured artists include Renee French, Luke Pearson, Yoko Tanaka, Nick Sheehy, Inca Pan, Allison Sommers, Jack Teagle, Sandra Dieckmann and many others. 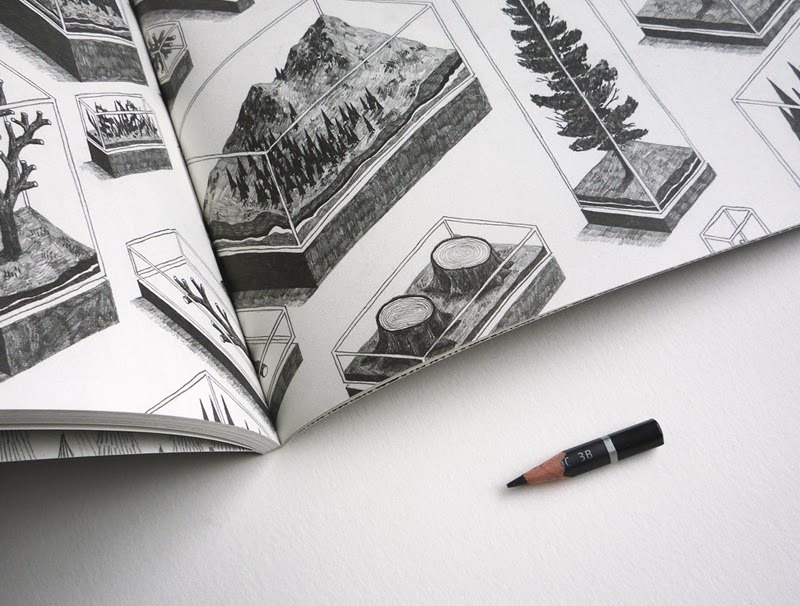 Founding Editor and Creative Director Amber Hsu discusses the realization of a collaborative project born out of a passion for pencils and printed matter. 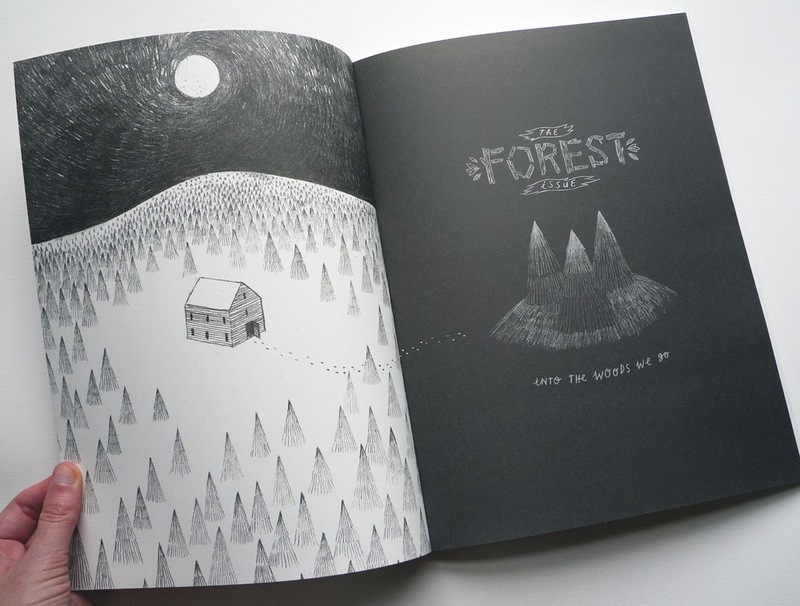 Issue 1, featuring hand-lettered title by Kristyna Baczynski and artwork by Sigrid Rodli. I’ve always been a huge fan of graphite and had originally started a sketch-blog called Tinypencil, which was going to be a very personal drawing log. I tend to think of working with pencil as a bit like sculpting on paper. It has that wonderful, personal element of human touch, and like the company of another human being, that will always be irreplaceable. 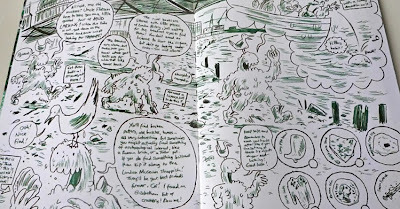 But after visiting a few comics fairs last year, I decided it would be much more challenging and rewarding to create a collaborative project in print. I love books as tactile, physically printed objects. And I loved the idea of creating something as close to handmade feeling as possible in a magazine format. 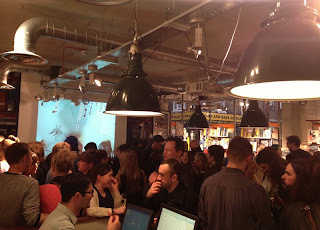 I also loved the idea of creating a home for artists’ works that didn’t necessarily fit a commercial brief. Though Tiny Pencil’s remit is ostensibly all about pencil, it’s also about artistic vision and independent experimentation. Because pencil is such an immediate, deceptively simple medium, it actually gives a kind of primacy to the artist’s voice. Graphite also has an atavistic quality which I think people respond to in an elemental, almost primordial way. Art by Rachel M. Bray. I love when artists tell us they’ve tried something new, or rediscovered something in their own work by the process, or simply found a home for some of their more personal experiments. Jean Cocteau once said “Film will only become an art when its materials are as inexpensive as pencil and paper.” I think that simplicity and vision really speaks to the Tiny Pencil ethos and independent spirit. 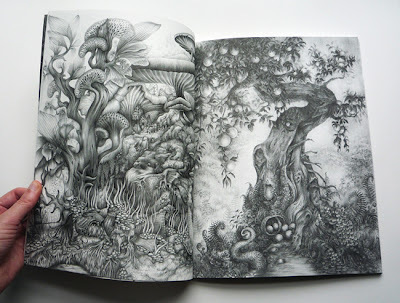 Graphite art by painter and children’s illustrator Yoko Tanaka. 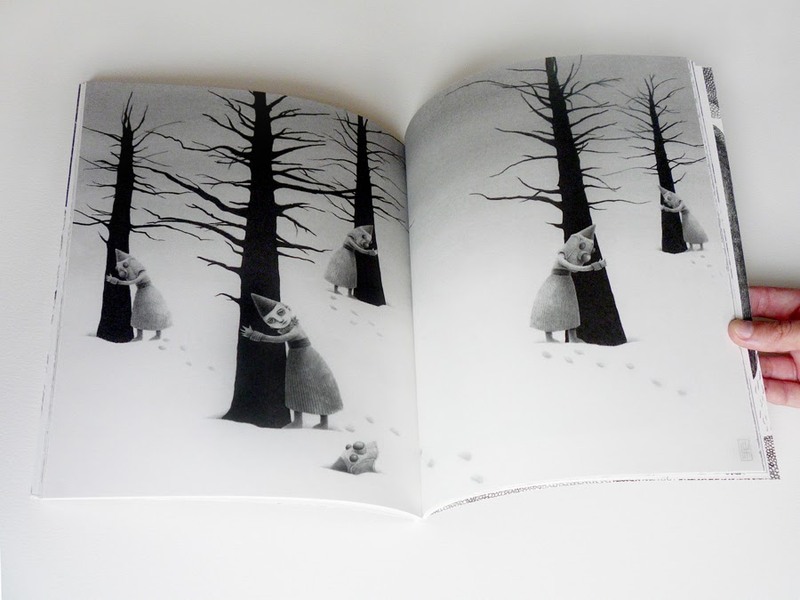 Pencil drawings by Luke Pearson (author of the Hilda Books!). This project really went from idea to conception in essentially a few months, and that could not have been possible without a LOT of help along the way. My friend, colleague and fellow graphite enthusiast Katriona Chapman was really instrumental in making Tiny Pencil happen. I’ve always loved her (mostly pencil!) handmade books and comics, which she also publishes under her own imprint Tomatito Press. So it was great to be able to finally work together on something. 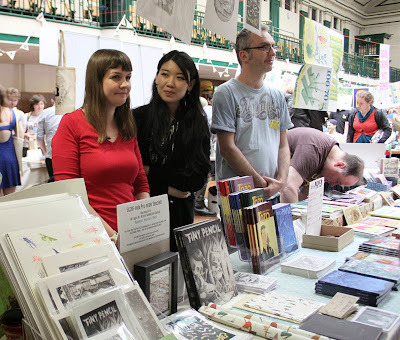 Amber Hsu and Katriona Chapman at East London Comics Arts Fest in June (next to author/illustrator David O’Connell -- creator of Ink+Paper. We also had a lot of help from colleagues, family, and friends along the way who pitched in with everything from writing interviews and running the blog, to transporting and distributing issues in the US. (Special thanks especially to our resident artblogger Heather McCalden for brainstorming and artist interviews!) And of course most of the credit has to go to all the artists who make each page absolutely phenomenal. Printed in strictly limited editions, each issue is also hand-stamped and numbered. With all of the work and effort going into the pages, we really felt a responsibility to make the publication as beautiful as possible. So one of the biggest hurdles was shaping the design and feel behind the concept. Everything from the paper weight to the website details was considered to best communicate the concept and spirit behind the project. We wanted each issue to be something desirable that the artists would love and that readers would want to keep and collect. Graphite’s subtle tones and shading can be notoriously hard to reproduce. 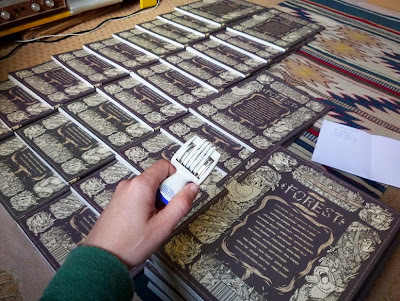 We put a lot of effort into the print quality and getting that right. 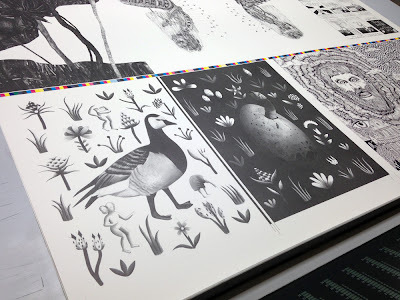 We work very closely with our printers, The Lavenham Press, who understand what we’re trying to do and really care about the final printed product. We’re also very proud to print locally in the UK and on FSC-certified papers. A lot of consideration also goes into developing the “personality” of each issue. Each issue is themed and the format might vary to fit that theme. 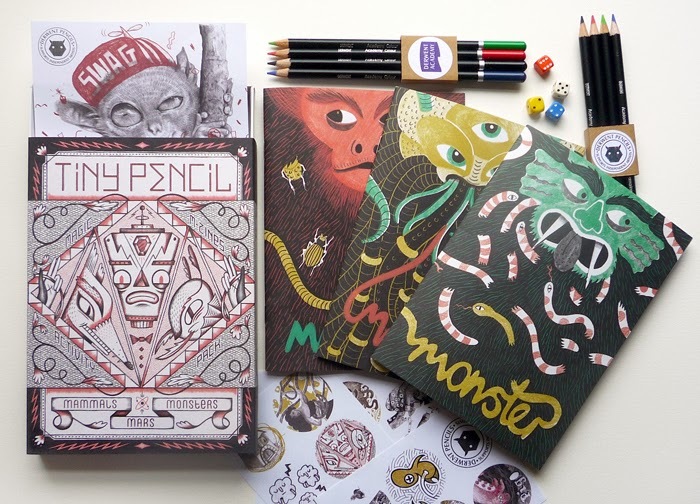 For example Issue 2 quickly grew into a 3 mini-zine box set complete with a mini pencil set, dice, and stickers—as befitting the special all-ages comics and activity theme of that issue! The issue featured work from a stellar cast of both established and emerging children’s illustrators including Viviane Schwarz, Gary Northfield, Yoko Tanaka, Sarah McIntyre, Kristyna Baczynski, Kate Hindley, Lara Robinson, Eleanor Taylor and many more. It was also a bit of a unique experiment as artists were invited to interpret what they felt was appropriate for children. There are games and children’s activities, but the work is also quite visually sophisticated and often straddles the adult-kid boundaries. The reception to the issue has been really great and plans are underway to develop it into a more permanent fixture! It really has been an exciting adventure and we’ve learned so much along the way. We’re immensely proud of each issue and what all these artists came together to create. 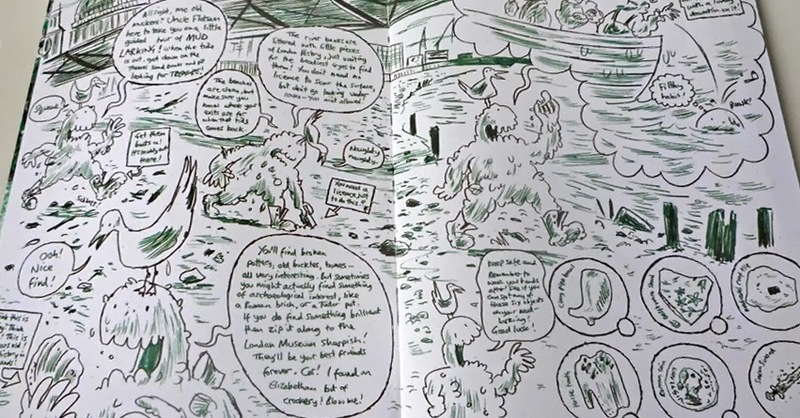 I’m also thrilled we’ve created something so “analogue” in the day and age of digital media and given all the talk about the “death of print.” I love that all the art is hand-drawn with one of the most basic known tools available, yet the work is always surprising and often extraordinary. There are lots of exciting plans ahead, so please come along with us for the ride and stay tuned! Tiny Pencil No. 3 debuts at the Thought Bubble Festival on 24th November. Pre-orders are available here. 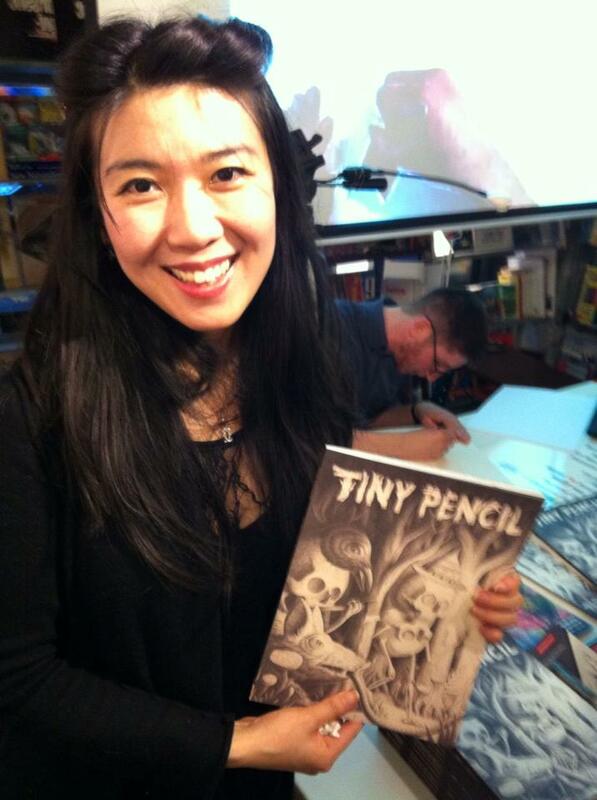 Also look out for Tiny Pencil at Southbank Centre’s Imagine Children’s Festival in February 2014. For more details and the latest updates, follow Tiny Pencil on Twitter and Facebook. Based in London, Amber Hsu is a Chinese-born, US-raised, UK-based artist, illustrator and writer. 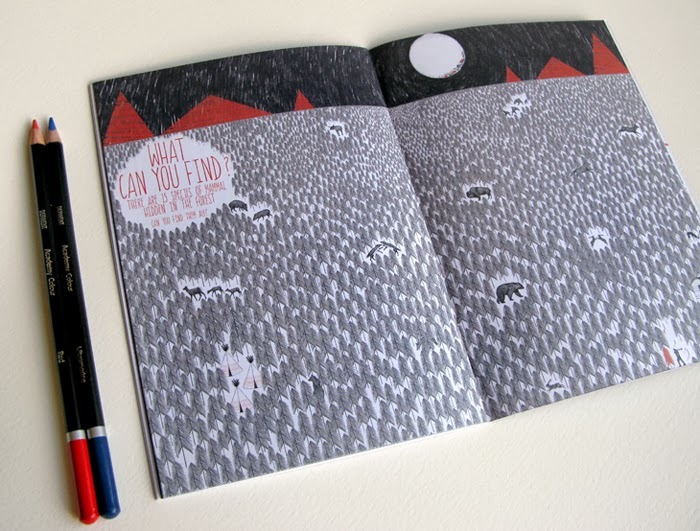 she was our Featured Illustrator for May 2013. I very much enjoyed reading the story of Tiny Pencil and I love these zines! Thanks Amber for this really interesting back story to my favourite collectable magazine. What a truly beautiful production that comes out of an impressive passion for getting it right - and so much hard work as I've witnessed! Love the Cocteau quote too...it all goes back to the pencil. Looks so gorgeous - Just had to go order a couple to treat myself! I love how Tiny Pencil is crafted as an object as much as a publication. And so right, pencil HAS to be on paper.